Whatever your plans are for the evening, eat a well-balanced meal before digging into the candy. Fill up with a healthy meal of lean proteins, whole grains, and veggies. Protein and fibre will keep you full while trick-or-treating so you and your kids aren’t tempted to sneak in some candy on the go. If you’re going to an adult party, being full should also help counter the effects of any alcoholic beverages you may consume. If you attend a lengthy event or take a tour like Fort York after Dark, being full will help you focus on having fun. 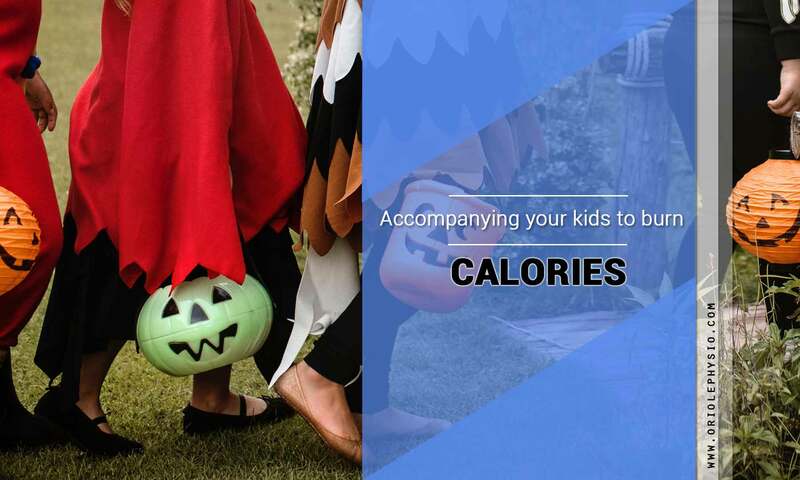 You might be tempted to skip lunch or dinner on Halloween to reduce the number of calories you eat that day. Skipping meals is generally unhealthy, especially if you want to prevent overindulging on treats. 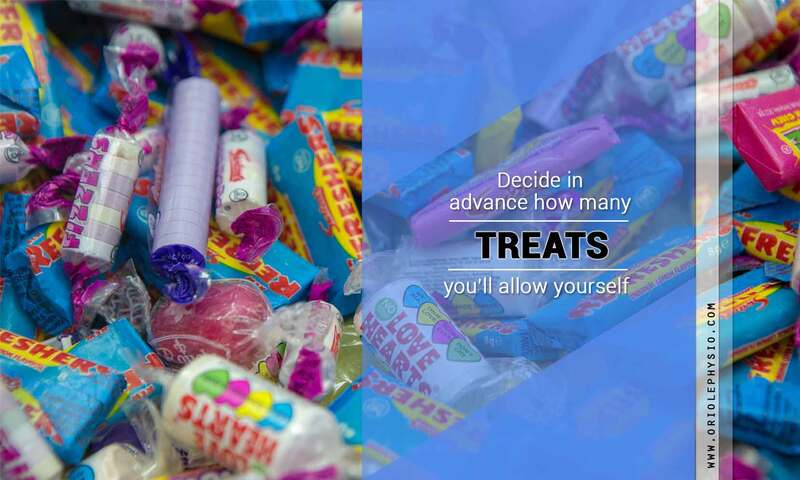 Being hungry when surrounded by all those temptations reduces your willpower, making it easier to go overboard. 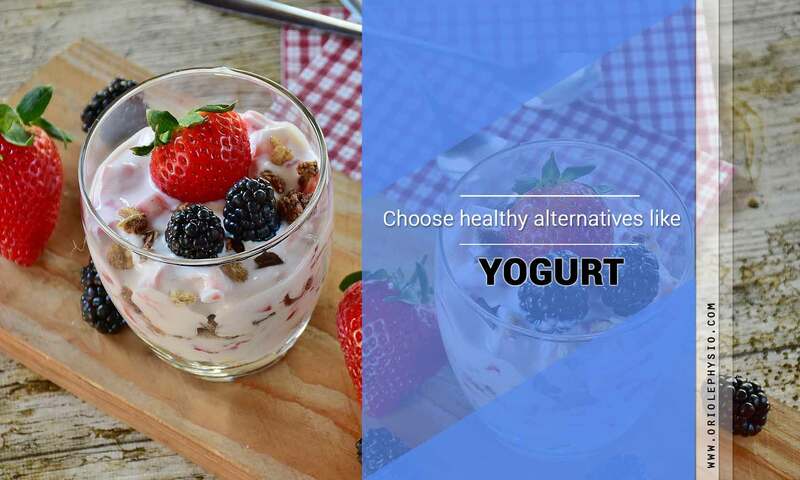 Yogurt is a good choice for people trying to watch their weight and stay healthy. It’s packed with protein and calcium to help keep the hunger pangs at bay. Consider using yogurt for healthy snacks between workouts, or while walking from house to house Halloween night. Drinking plenty of water can help keep sugar cravings under control. Sometimes thirst manifests as hunger. Keep a bottle, or glass of water nearby when you feel the urge to nibble on something sweet. You can also drink water after snacking to reduce some of the side effects. For example, a drink of water will remove the taste of sugar in your mouth, reduce the craving and make it easier to stop eating more. Rinsing the sugar from your mouth also removes residue from teeth, keeping them clean and cavity-free. When you’re picking which candy to hand out, refrain from buying your favourite, especially if you’re buying in advance of the holiday. Having candy in the house is tempting, and it’s harder to resist if it’s something that you really like. Buy something less appetizing (or consider handing out stickers, pencils, bouncy balls and other non-edibles) to prevent over-indulging. Going healthy might make you the “boring house” in the neighbourhood, but kids’ parents will probably thank you. If you’re worried about temptation, it may be wise to put off buying your treats until right before Halloween. Buy the candy at the last minute (even on October 31st) to avoid having it in the house. You won’t be able to eat any candy if there isn’t any in the kitchen. As a bonus, the candy might even be on sale. If you’re having kids over for a Halloween event, choose healthier food options. Let them snack on fruit, cheese and crackers, and veggie sticks. If you’re sharing “goodie bags,” load them with snacks like trail mix or popcorn. Consider making sweet snacks that are high in fibre (e.g. candy/caramel apples or cereal squares). Pumpkin is another good option; it’s a good source of fibre and vitamin A to keep yourself and your visitors good and healthy. You also have a wide variety of options with pumpkin. Bake them into cookies or dessert loaves, or roast the seeds. Remember that the pumpkins you use for jack-o-lanterns are only good for the seeds. For baking, you want to purchase a fleshy pumpkin that won’t be bland or watery. If you’re looking to satisfy your cravings, be particular about which treats you eat. 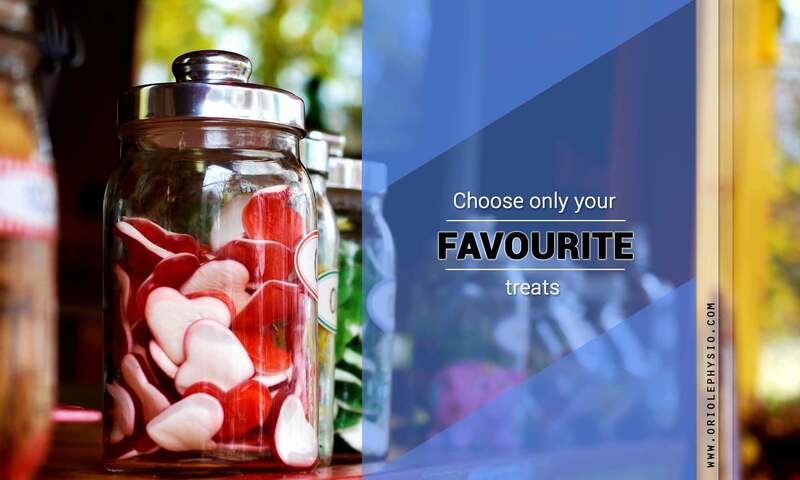 Pick the ones you really enjoy and savour them. Do the same with your kids. 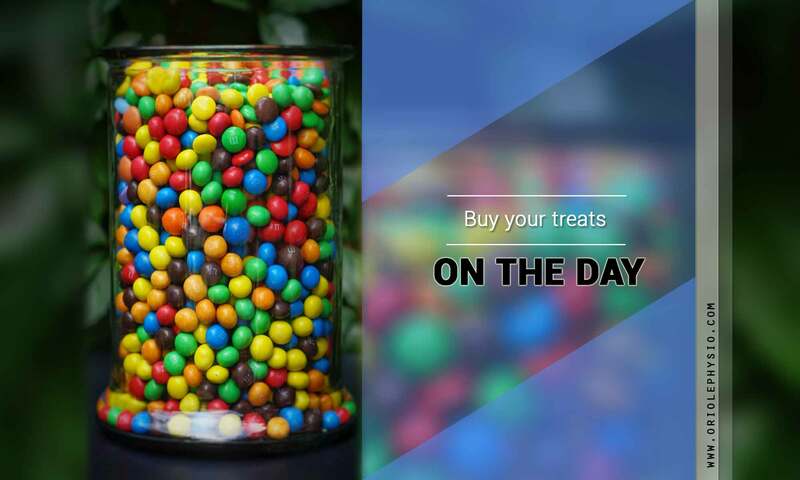 Encourage them to keep only the candy they really like and give the rest away. Limit the number of treats you let yourself eat. For example, put aside five pieces of candy and when they’re gone, they’re gone. If you’re manning the fort on Halloween, expect to spend plenty of time sitting between answering the door. Use this time to sneak in a few exercises. It may only be a bit at a time, but it all adds up at the end of the night. Do a squat each time you hear the doorbell, or run in place between the times the doorbell rings. You can also do some exercises if you’re out trick-or-treating with the kids. Offer piggyback rides or carry their candy. If you aren’t comfortable staying at home with all the candy, volunteer to take your kids trick-or-treating. Bring your activity tracker and see how many steps you take to find out how many calories you’ve burned. Speed up your pace to expend more energy as you go from house to house. Plan your route in advance and select streets with hills or houses with lots of stairs. Walking six blocks can burn up to 100 calories. Remember to be careful during trick-or-treating to avoid injuries. 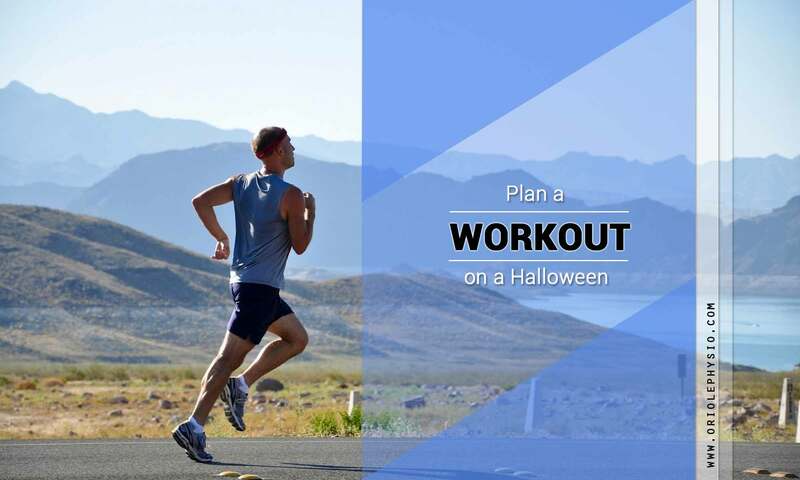 Schedule a workout on Halloween. Start early to get it out of the way and avoid delays and excuses. An invigorating workout of at least 45 minutes invigorates you and gives you a bit more “wiggle room” with calories if you plan on treating yourself later. Exercise also helps put you in the right mindset to stick to your Halloween diet plans. Just because you’re on a diet doesn’t mean you have to deny yourself a piece of candy or two. If you’ve made healthy eating a habit, you can indulge for a day or two without feeling guilty. Have a plan to help guide you through the times you indulge. For example, allow yourself a specific number of treats and stick to that number. A detailed plan makes it easier to keep control and avoid giving in to temptation. If you overdid it on Halloween, stay calm and don’t beat yourself up over your slip. Get back to your usual routine right away. Have healthy meals of protein and veggies and drink plenty of water. Use these tips for yourself, your family, and even the kids who come trick-or-treating. Healthy treats benefit everyone. A healthy lifestyle is the best way to avoid injuries and medical complications from obesity and back pain. If you do suffer from pain or have an injury that impedes your regular routine, contact your local physiotherapy clinic to discuss how physiotherapy might work for you. At Oriole Physiotherapy and Rehabilitation Centre, we offer the latest procedures and technology to give you the highest quality care. Our physiotherapists participate in continuing education to provide you the most cutting-edge treatments. We also provide a wide variety of services (including acupuncture and massage therapy) to provide individualized treatment and help you get your life back on track. Contact us at (416) 221-0772 to make an appointment.